Plastic surgery can be scary to many people. Although injectable fillers are becoming more and more popular for facial rejuvenation , there is a limit to what dermal fillers can accomplish. One of the most popular treatments nowadays are dermal fillers. This non-surgical procedure fills areas under the skin to lift, plump, hydrate and soften deep folds and wrinkles. As your face changes over time, dermal fillers allow you to control your looks subtly as you age. Hyaluronic Acid Fillers can fill wrinkles, fine lines , deep folds, plump lips as well as fill and lift sunken hollowed cheeks. Fillers also allow us to contour and define a drooping jawline as well. The benefits of hyaluronic fillers at times over surgery is that they give natural looking results and do not affect facial expression. 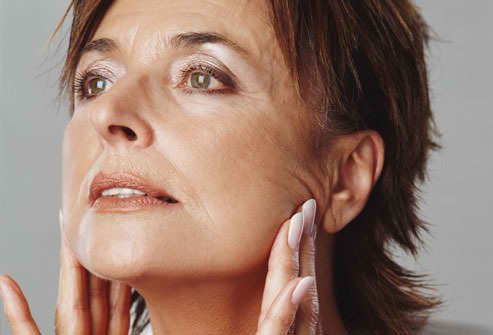 Although fillers have their advantages over surgery, there are cases where, for example, if someone has a tremendous amount of excess skin in the neck area, they would tend to need a face-lift procedure, as well as if the neck is really sagging, and has lost elasticity, it would need to be tightened and lifted surgically as well. Usually hyaluronic fillers such as Juvederm or Teosyal are most effective in individuals who are younger than fifty and who do not have sufficient looseness of the cheeks and neck. Depending on the patient’s age and the type and severity of their wrinkles and folds, a facelift might be an alternative.